Providing and laying of Heat Reducing Exterior Water Proof Coating treatment as per Premise-care system of waterproofing. Polymer coating New cot coating EMB & SPR coating Brick bat Coba. weber primer401 is a high performace acrylic based waterproofing primer with excellent bonding agent properties with s..
Water based biodegradable rust removing and cleaning agent used for degreasing cleaning / removing rust marks. 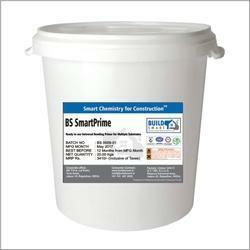 We are identified as a leading manufacturer and supplier of Crack Filler. The offered product is processed utilizing best quality chemical compound and advanced technology under the meticulous observation of our chemical experts. 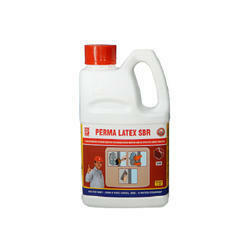 This product is tested on various quality parameters to ensure its effectiveness at clients end. We are one of the highly acclaimed services providers offering highly admirable and affordable Roof Water Proofing System, which enable our customers to protect their precious building, domestic, official or industrial from all kinds of sealing problems like crack in the walls, water leakage, etc. add new innovative technique to satisfy the customer.